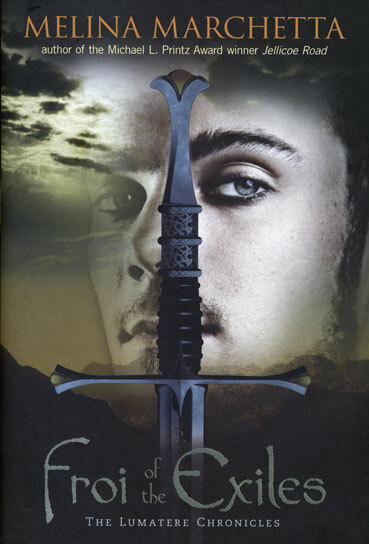 To Sum It Up: Now officially the King of Adarlan’s Champion, Celaena is sent on mission after mission to eliminate his enemies. Every one she completes brings her closer to her freedom from his service, or so she hopes. Celaena’s latest target is possibly involved in a rumored rebel movement against the king, and her investigation into the matter leads to some shocking discoveries not only about his foes but about the king himself as well as those closest to her. Most alarmingly of all, though, is the danger that an uprising poses to revealing a secret about Celaena that no one must ever find out. Review: Oh. My. God. I have no clue where to start with this review of this absolutely PHENOMENAL sequel to Throne of Glass. 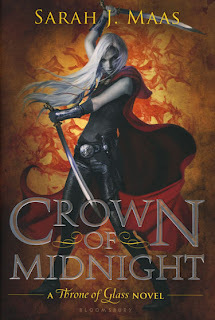 I’ve had an amazing run of fantasy reads lately, and Crown of Midnight is the pinnacle of them. I cannot profess my love for this book enough. 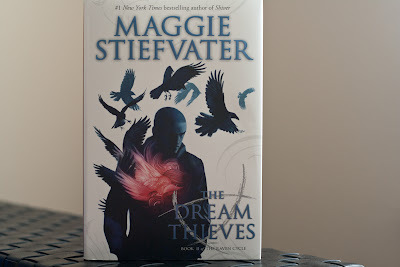 After I finished it, I couldn’t put it back on my bookshelf because I kept feeling the need to reread my favorite passages (many of which featured Chaol!) over and over again, then over and over again some more. I had a severe addiction to this book that I still find myself battling. As much as I enjoyed Throne of Glass, I couldn’t quite give it five stars because I felt that Celaena did much more talking about how badass she was than actually showing how badass she was. Well, that is most certainly not a problem in Crown of Midnight. I LOVED Celaena in this book; she unequivocally demonstrates throughout the novel that she is, in fact, one hell of a heroine. I am in awe of this young woman, not only for her unrivaled, formidable fighting skills but also because she’s not afraid to embrace the side of her that loves shopping and devouring the entire contents of a buffet table. I myself am very fond of both of those activities and now feel a certain kinship with Miss Sardothien. Celaena has grown tremendously as a character since Throne of Glass; there are no words to fully capture how much she impressed me this time around. The dark magic that was seen in the previous book (remember creepy Cain?) returns in an even more chilling and intense form here. I was both rather scared while reading some parts late at night and thrilled by all of the suspense and action. Fortunately, there’s also some comic relief thanks to a new character named Mort. To avoid spoilers, I’ll simply say that Mort is a very unique . . . personality and possesses a knack for igniting Celaena’s temper. Those two have some sidesplitting conversations. I loved how Sarah J. Maas took the development of all of her characters to spectacular new heights in this novel, Dorian being no exception. 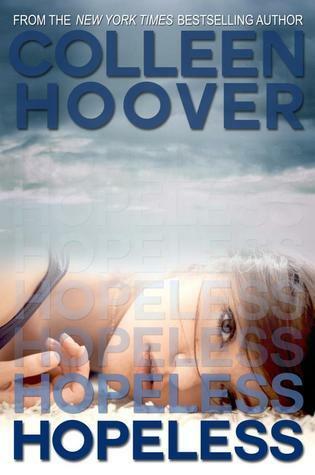 What he goes through in this book—it’s such a brilliant plot twist, but I also felt so sorry for him because he couldn’t tell anyone what was going on. It’s amazing what a good soul Dorian is considering how evil is father is. And Dorian’s friendship with Chaol—there’s a certain someone who could come between them, but the two young men don’t allow that to happen. Maas masterfully avoids love triangle clichés here, for which I am extremely grateful. As for Captain Westfall, he absolutely made me swoon all through Crown of Midnight. 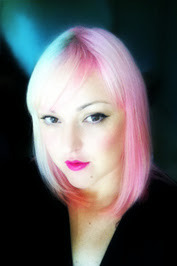 SWOON, I say! 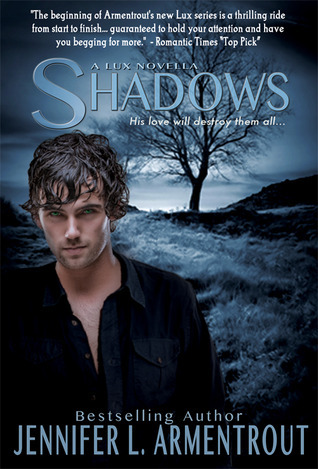 Chaol won my heart at the end of Throne of Glass, and in this book . . . he made my heart melt. I can’t even string together a coherent paragraph about this man; he’s just—AAAAHHHHH . . . . LOVE. HIM. Crown of Midnight represents everything you could hope for in a sequel plus so, so much more. Action, romance, magic, and a stunningly realized fantasy world—they’re all here, and oh how they make this book impossible to put down. If you’ve read Throne of Glass but haven’t gotten to this yet, you need to. Right now. All in All: You will not be disappointed by this sequel in any way. It’s sheer perfection. * Spoilers ahead if you haven't seen Episode 7, "Poison and Malmsey Wine." This week's episode was very George-centric, with George going off the deep end. Like, really far off the deep end. There was also talk of poison every few minutes, hence the title of the episode, though not so many mentions were made of malmsey wine . . . .
Aaaand . . . We're Fast Forwarding Again! Since it is already Episode 7 of 10 and we've got to get to Bosworth (which, for Richard's sake, I am dreading to the extreme), a leap forward in time was necessary yet again. The episode opens one year after last week's ep left off. Edward is partying hard with his brothers and Thomas Stanley . . . while Elizabeth is giving birth . . . again. George, feeling like the neglected Plantagenet brother, suggests that Edward go to war against France. Guess who George thinks would make an excellent regent of France? That's right—George! He can barely conceal his jealousy of Richard's titles, and he just gets loonier from here. Margaret is one of Elizabeth's ladies, but neither is happy with the arrangement. Margaret gets booted out of Elizabeth's chamber where the queen is having her baby and runs into Stanley, who urges his wife to get chummy with the queen. Margaret is called back, and at first everyone fears that the baby is stillborn until he starts crying in Margaret's arms. Elizabeth believes Margaret has somehow saved him and buries the hatchet with her. That's probably not wise, Elizabeth, as Margaret and Stanley are both plotting to put precioussss Henry Tudor on the the throne. George is quite a busy, busy man this week, not only prompting Edward to pay France a visit but also hatching a plan to swipe the Countess of Warwick's money. Richard acts first and brings her to Anne; mother and daughter proceed to have a rocky reunion. Thanks to the time jump, we see that Richard and Anne now have a son, Edward, while George and Isabel have a daughter, Margaret. Isabel is expecting again, and she hopes that she'll give George the son and heir he so desperately wants. Elizabeth's brother, Anthony Woodville, thinks Edward is crazy to go riding out to war again. Anthony decides to sit this one out and go on a pilgrimage instead. Hmm . . . it sounds like he and Margaret would get along famously. Now that Elizabeth and Margaret are besties, or so Elizabeth thinks, the queen has Margaret listen in on Anne and Isabel's conversation at court. A hysterical Isabel believes that Elizabeth is responsible for the death of her first child and has cursed her unborn one. King Louis of France literally pays Edward for peace. Edward is all too happy to agree to these terms and heads back to England an even richer man. Richard is upset that his brother would just sell out like that, and George is livid that he's not going to be regent of France. To make matters worse, Edward offers some of the newly acquired riches to his brothers to try and smooth over the situation. Not exactly a good idea. It's Time to Fight Magic with Magic! George, you bad, bad boy. First you go behind Edward's back and promise Calais to King Louis of France in exchange for an army to take the English throne. Then you hire a sorcerer of your own to battle Elizabeth's witchcraft. This can only end in disaster, obviously. The Countess of Warwick, miffed over the whole house arrest and being stripped of her fortune business, continues being mean to Anne. She tells her daughter that Richard only married her for her money and will end up divorcing her and taking it all. Isabel is absolutely paranoid that Elizabeth is going to kill her, and George only further fuels her anxiety by telling her that Elizabeth poisoned and killed their dog. After giving birth to a son, Isabel becomes ill and dies. Word begins to spread that Elizabeth is responsible, and she wants Edward to do something about George's public accusations of witchcraft against her. Edward won't, so she takes matters into her own hands and summons Anne for an audience. Elizabeth is pretty nasty, calling Anne stupid, and demands to know if Anne thinks she poisoned Isabel. At least Anne got to make up with her mother, who apologized for abandoning her. After George escapes Stanley's attempt to arrest him on Edward's orders, the wayward Duke of Clarence crashes a masquerade ball thrown in celebration of Edward's anniversary on the throne. Things get pretty ugly, what with George's mad ranting and having to be forcibly removed from the king's presence. George is charged with treason. Edward acts as prosecutor, and there is no defense for George. Cecily, the Duchess of York, first begs Richard to do something for George and later begs Edward for mercy after George is found guilty. Edward knows about George's deal with Louis and orders his execution. George asks to be drowned in malmsey wine, and, well, his request is accommodated. With George deceased, Edward gives back the title Earl of Richmond to Henry Tudor. Margaret gets her hopes up and asks Stanley if her son will be allowed to return to England, but that is not to be. Stanley reminds her that five people still stand between Henry and the throne. I love the scenes between Richard and Anne; they're by far my favorite couple. The closer we get to the end of the series, the more I worry about how he's going to be portrayed in the upcoming weeks, especially considering how pro-Elizabeth and Margaret the series seems to be to me. We shall see. Another one of my most anticipated fall reads was released this week—Untold by Sarah Rees Brennan. Sadly, I've had zero time to start reading it but hope to over the weekend. 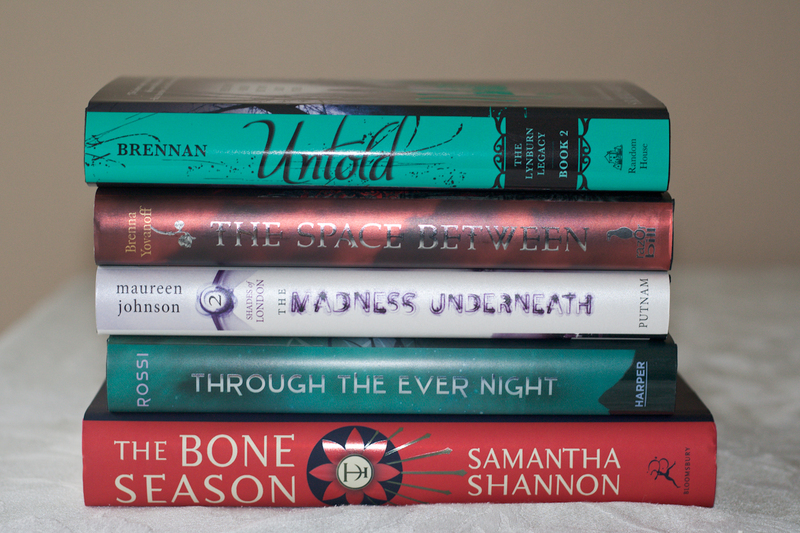 I also picked up two other sequels that I've been dying to read: The Madness Underneath by Maureen Johnson and Through the Ever Night by Veronica Rossi. The first Lego video game title I ever played was Lego Star Wars, based on the six movies, and it's still one of my favorite video games. The attention to detail is amazing, and there's a lot of humor in the game, too. Plus, the Lego versions of the characters are just too cute! When I found out that there was going to be a Lego Harry Potter, I was ecstatic. I was a tad disappointed that the game was only going to include the story up to Goblet of Fire, but there was a lot of speculation that once all the movies were released, there would be a follow-up game. And the speculation turned out to be true! 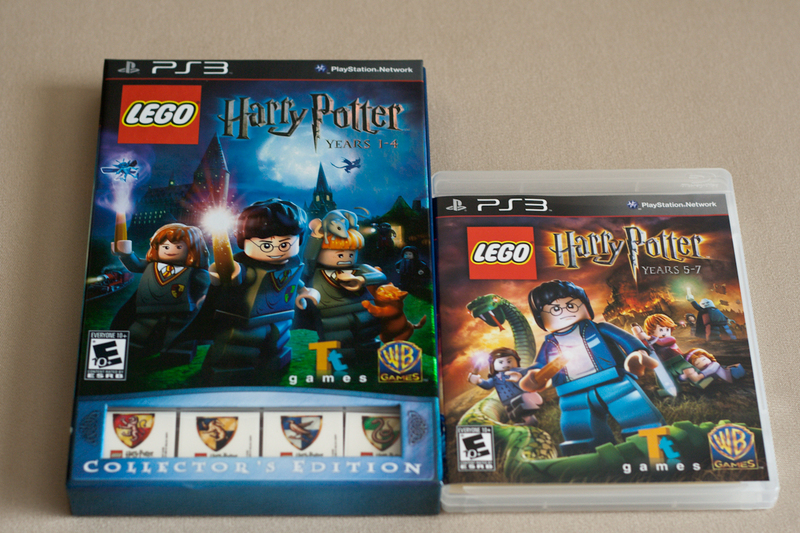 Playing these games is incredibly fun because you practically get to live the books/movies—in Lego form! I cannot gush enough about the level of detail; exploring Hogwarts alone can take hours. It's an absolute thrill being able to cast spells, ride a broomstick, and even compete in the Triwizard Tournament! 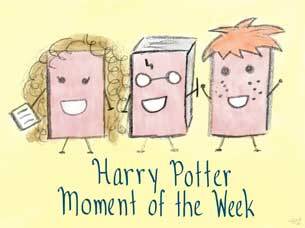 Just about every significant HP moment is brilliantly recreated in the games, which allow you to play as almost any character you can think of. My cousins/blogging colleagues Ally and Melissa, their brother, and I have spent many, many hours playing Lego HP. Despite being family, we have the worst teamwork EVER, which in the past has caused a lot of arguing, but a lot of laughing as well. Instead of freezing Cornish pixies, someone repeatedly froze a teammate. There was a huge dispute over who would drive the flying car and who would have to ride the little scooter to escape Aragog's children. Need your partner to levitate an object so you can reach an upper level? Yeah, it's going to be a long wait while that person collects stuff on the lower level. What happens when both players want to play as the same character? Argument. And so forth. Even if you're not much of a video game player, if you love HP, then these games are absolutely worth trying. Even after completing them to 100%, I think they have a very high replay value because, after all, it's Harry Potter! To Sum It Up: After holding off their attacking pursuers and taking several arrows so Quintana and her unborn child could escape, Froi needs to recover from his injuries as quickly as possible and find her. As he searches frantically for her, he’s reunited with some familiar faces, often in places where he least expects to meet them. But it’s Quintana whom Froi is most desperate to see again, and he races from one part of Charyn to another, hoping he’ll reach her before those who want to control the kingdom’s future heir do. Quintana is extremely clever, though, and she’s chosen to hide somewhere that not even Froi suspects. 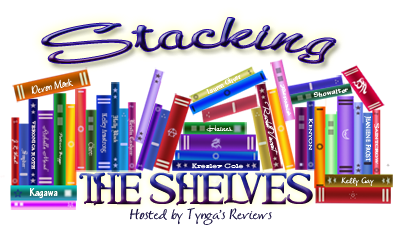 Review: I know I’ve said this before, and multiple times, but it’s especially applicable here: the most challenging reviews for me to write are for those books that I loved so completely that I’m grappling for the proper words to describe my feelings. And I have many, many, many feelings after reading this simply beautiful conclusion to a series that has become beloved to me. Yep, there are probably going to be a lot more italicized, bolded, and capitalized words ahead because if ever there was a series that deserved them, it’s The Lumatere Chronicles. Final books in a favorite series are such bittersweet things; you want, nay need to know how it all ends, yet at the same time, you don’t want it all to end. Froi of the Exiles left its title character in a state that made me want to cry and smash the book against the nearest wall. Only the knowledge that I could begin reading Quintana of Charyn immediately prevented me from having some sort of breakdown over what happened to Froi. That second book in the trilogy was such a tidal wave of revelations and emotions, and the momentum carries over in its entirety to this book. It’s not so much that I was surprised that Melina Marchetta weaved yet another phenomenal tale with these characters and this world; this is Melina Marchetta we’re talking about. It’s more like awe at how an already perfect series could possibly get any better. The answer is: this book. I’ve savored every page I’ve read in this series, but I tried to take even more time to fully appreciate this final chapter in the lives of these characters whom I’ve grown to love. 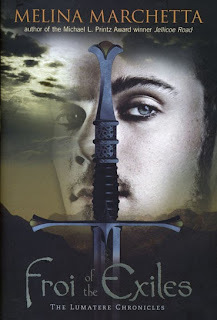 Although Finnikin of the Rock began with Lumatere’s story, the series has become as much about Charyn’s tale and the ties that exist between the two kingdoms despite the bloodshed that has also taken place. One of the most powerful aspects of this particular book is the way in which Marchetta creates a parallel look at Isaboe, Lumatere’s queen, and the novel’s namesake, Quintana of Charyn. With the death of her father the king in the previous book, Quintana is now Charyn’s queen, but she’s on the run from the power-hungry Charynites who want to rule through the child she will give birth to. Isaboe is adored by her people while Quintana is considered mad by hers and expendable once she breaks Charyn’s curse and produces their long awaited heir. These two incredibly strong young women face each other in a heart-stopping confrontation rather early on in the novel and once more later on under circumstances that may leave you sobbing. Isaboe and Quintana are so different, yet alike in their unyielding determination, and I love both characters for being who they are. They also share one very important link: Froi. Thinking back on the Froi I met in Finnikin of the Rock, it’s simply astounding to see the character he has become, from an orphaned boy thief to a courageous, respectable son, father, and man. He’s virtually unrecognizable from the Froi who could barely utter a sentence in Lumateran in Finnikin, and that’s just the way Marchetta works her writing magic. You may start out with a certain opinion of a character, but by the time you’ve finished reading one of her books, you’re almost guaranteed to see that character in a totally different light because that’s how layered all of her characters are. Since this is the last book, I feel I can take the time (and space) to express my love for each and every one of the following: Finnikin, Isaboe, Froi, Quintana, Trevanion, Beatriss, Perri, Tesadora, Lucian, Phaedra, Lirah, Gargarin, and last but certainly not least because his speed with a quip probably made me laugh the most, Arjuro. Obviously, I found this conclusion to the series beyond rewarding. The Lumatere Chronicles is just a superb YA fantasy series, and Melina Marchetta is one of my absolute favorite authors. I truly, truly hope she decides to write another fantasy because with this trilogy, she’s demonstrated how ingenious she is at writing the genre. All in All: I. Loved. This. Book. That is all. To Sum It Up: Three years have passed since the curse on Lumatere was broken, and its people continue to rebuild their kingdom. Froi seems to have found a home at last, and he’s more than willing to do anything to protect Lumatere. His mission to the arcane kingdom of Charyn is extremely dangerous, but Froi plans on accomplishing his single task and getting out. Many surprises await him in Charyn, however, the biggest one of which may be its enigmatic, and possibly insane, princess, Quintana. Review: If I could change the past and fix the most egregious book-related mistake I’ve ever made, it would be this one: waiting over a year—yes, a year—to read Froi of the Exiles, the sequel to Melina Marchetta’s Finnikin of the Rock. What makes this total failure in judgment even more glaring is that I bought a copy of Froi very, very soon after I’d read Finnikin. And then that copy proceeded to sit, unread and unloved, on my shelf until I finally got around to picking it up. I think I was on page 2 of Froi when I wanted to take the book and repeatedly hit myself over the head with it for choosing to read all those other books before it. Seriously, I don’t know what drives my reading selections sometimes. I’d already thought Melina Marchetta was a genius before reading this, and now . . . . There are no adequate nouns or adjectives to describe her brilliance with words. Page after page, sentence after splendid sentence reminded me how much I adore her writing and worship her as an author. I keep a notebook of my favorite book quotes, and with this novel, I just wanted to copy down every. Single. Line. Lines loaded with awe-inspiring wisdom. Sarcastic lines that made me laugh. Heart-shredding lines that reduced me to tears. Every. Single. Line. 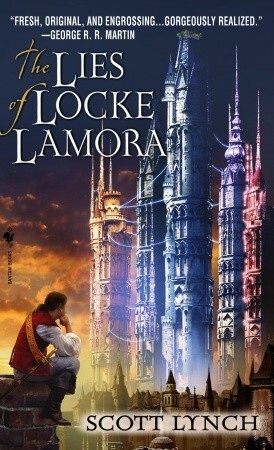 While the book continues to follow the Lumaterans as they carry on rebuilding their lives three years after the curse that trapped some of their people inside the kingdom’s walls and forced those outside into exile was broken, a significant amount of the novel takes place in Charyn, whose invasion nearly destroyed Lumatere. It seems that the Charynites are living under a curse of their own that can only be lifted by their princess, Quintana, around whom rumors of madness swirl. Charyn is a kingdom shrouded in mystery, and it is to this place that Froi, the former thief from Finnikin of the Rock, journeys on a covert mission. Froi. His character growth from the previous book is nothing short of stunning. The boy who once could barely speak Lumateran has proven to be an excellent student under the tutelage of Lumatere’s priest-king and has found a home among both the Queen’s Guard and the family of Lord August and Lady Abian. Despite coming so far, Froi is as quick-tempered as ever, as well as still haunted by the incident that passed between him and Queen Isaboe, to whom he’s pledged his undying loyalty. And that’s what’s so fantastic about Marchetta’s characters—they’re so real, so human, because they’re flawed. Even the most contemptible characters can demonstrate flickers of light, and even the more noble ones have their faults. These characters love, hate, fear, and show steel-like courage. They inspire you, they make you angry at times, but above all, you care about them like they were living people. Just in case it wasn’t apparent from the gush-fest that is this review (and it was destined to be this way from the second I finished the book), Melina Marchetta’s novels have an unbelievably powerful effect on me, and Froi of the Exiles was no exception. This is a mesmerizing fantasy in which the blood of a people sings to one another, some individuals are touched by the gods, and the spirits of the departed are sung home. Truly, truly the pure beauty of reading this novel is watching plot revelation after plot revelation unfold and realizing the immense amount of planning that must have gone into creating a saga of such breathtaking complexity. If you loved Finnikin of the Rock, prepare to be just as captivated by the stories of Froi, the twin brothers Gargarin and Arjuro, Lirah, Phaedra, and, of course, Quintana. Also be ready to gasp and scream and laugh and maybe cry a few times because reads don’t get much more emotional than this one. All in All: All the stars in existence aren’t enough for this book. 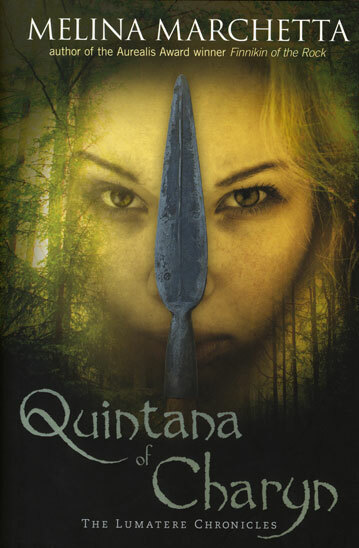 If you plan on reading it, you MUST have a copy of Quintana of Charyn, the finale to the series, ready to go. You will regret it otherwise because trust me, you’re going to desperately want to know what happens next once you’re done reading Froi of the Exiles. * Spoilers ahead if you haven't seen Episode 6, "Love and Death." I've griped before about how rushed this series often feels because of the amount of history that is being compressed into a relatively short run of episodes, and this week seemed particularly hurried. The characters really don't have a lot of time for their story arcs to build; one week they're acting one way, the next they're acting another (I'm thinking especially of Anne here). There are only four episodes left, so I can only assume that the whirlwind tour through the last days of the Plantagenet dynasty will continue. Anne goes before Edward and asks for his forgiveness. The king pardons her, much to Elizabeth's extreme displeasure. Anne presses her luck somewhat by inquiring about what will happen to her mother, who is still in sanctuary, but Edward has no intentions of welcoming the Countess back to court. Anne is to live with Isabel and, eww, George, who is appointed by Edward to act as Anne's guardian. Be afraid, Anne. Be very afraid. 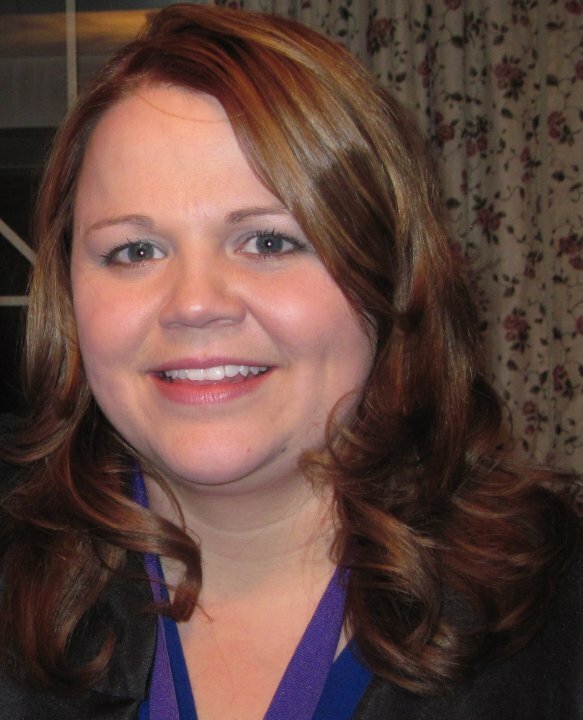 Living with her sister and brother-in-law turns out to be almost like living in prison for Anne. She begins to suspect that Richard has brought her to them so George can control her inheritance—if the Countess of Warwick dies and Anne is unmarried, Anne's share of her mother's fortune will go to her skeevy brother-in-law. Unfortunately for Anne, she airs her grievances to Isabel in front of Isabel's ladies, and the sisters end up getting into a nasty fight. Margaret's mother is on her deathbed and asks for her daughter's forgiveness. Margaret launches into some speech on her favorite topic, religion; I kind of tuned her out because all I heard was blah, blah, blah. Prince Edward is to be sent to Ludlow, in Wales, to begin his path to kingliness. Elizabeth is angry at this idea (Elizabeth gets angry quite often during this episode) and vehemently opposes it. Beyond awkward: Elizabeth catches Edward with his mistress, Jane Shore. As if that weren't enough for her to deal with, Jacquetta is seriously ill and doesn't have much time left. Anne gets rather snotty with Richard, accusing him of not caring about how horrible life with George and Isabel is. 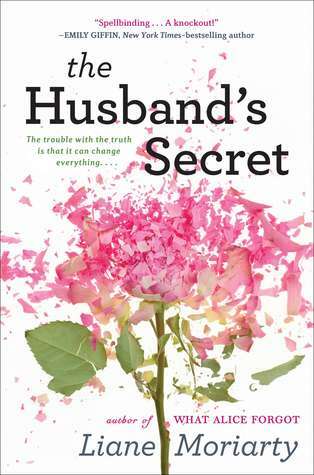 He tells her that he's asked his brother about her numerous times, only to be told that she's still grieving. He also advises her to placate George and Isabel until he can talk to Edward about her situation. Because he cares. Margaret has been hoping to join her son and Jasper Tudor in exile. Jasper, however, informs Margaret via letter that the best thing for her to do is to stay put in England. Obviously, she's disappointed, as evidenced by her dramatically ripping Jasper's letter in half. She then gets the brilliant idea that she should marry into the House of York. Richard, run away now. Far away. Very far away. Anne is horrified that George plans to shut her up in a nunnery and, in desperation, arranges another secret meeting with Richard. She kind of made me laugh with her remark to him about being grown up because 1) she pouts quite a bit in this episode and 2) when Richard asks her to marry him, her initial reaction is, like, you'll have all my money! Sheesh. Just say yes, for heaven's sake! Knowing what a backstabber this guy is, I don't have much more to say than that. Edward and Elizabeth's newborn son does not survive, and Elizabeth also suffers the loss of Jacquetta, who's always been such a strong presence by her side. Well, not exactly, but Anne and Richard's marriage is interspersed with scenes of Margaret marrying Thomas (Beard of Awesomeness) Stanley. Anne is preparing to leave for Warwick Castle, where she and Richard will make their home, when Isabel arrives to see her. The sisters kiss and make up, with Isabel promising to never let Anne down again. Elizabeth confronts Edward about Jane Shore, and he lamely replies that she knew what she was getting into when she married him. He also comments that they're not young anymore, which was pretty funny since they both look like they've hardly aged. Lots of Richard this week (finally). I felt a little sorry for him, being the target of a good deal of Anne's frustration over being trapped under George's roof, but hey, Richard did get her out of there! One of my most highly anticipated reads of the year was released this week—Maggie Stiefvater's The Dream Thieves. Unfortunately, I haven't had a lot of time to read it since it arrived, but I'm hoping to fix that over the weekend! Welcome to my stop on the blog tour for Quantum Entanglement, the second book in the Interchron series! 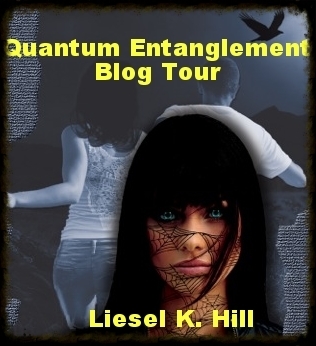 Today I'll be chatting with author Liesel K. Hill, and be sure to click on the link below for your chance to win a copy of the book on Goodreads! 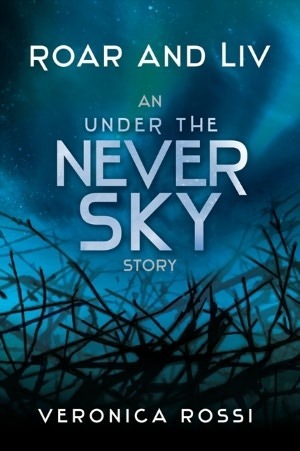 Synopsis:Five months after traveling to a post-apocalyptic future where collectives reign supreme and individuals have been hunted to the verge of extinction, Maggie Harper was returned to her own time until the threat to her life could be neutralized. She thought Marcus and the others would return for her within a few weeks, and now she’s beginning to worry. Hi Liesel! Thanks so much for answering a few questions today! 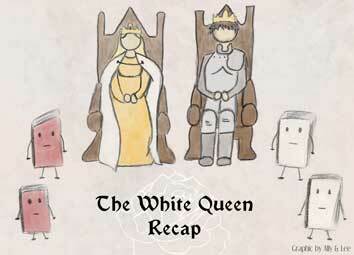 Did you face any particular challenges in writing a sequel? Sure I did! While I’ve done enough writing now that actually writing a new novel isn’t as hard as it once was, sequels have their own, unique set of dangers. You want to make certain the story doesn’t bog down; that your book doesn’t suffer from “book 2” syndrome, as they call it in trilogies. You must propel the reader forward and keep them immersed in the world you’ve created. Easier said than done. For me, I also had to deal more heavily with time travel, which is always tricky, and delve more deeply into several characters’ backgrounds, which must be done with both delicacy and conviction. It’s definitely a balancing act. As a reader, what elements do you like to see in a dystopian novel? In dystopia, the stakes are the key issue. If the biggest worry for the character is not going to the Friday night dance, well that’s fine for YA contemporary romance, but dystopia is about post-apocalyptic worlds. It’s one character or a select few against a corrupt institution. The stakes must always be earth-shattering—death or enslavement—not just for the main characters, but for the entire world, and all those they hold dear. Of course, the characters need to have an emotion reaction to what’s happening as well. The stakes must be emotional as well as physical. And a little romance always makes the journey more fun. What do you love most about writing dystopia? The scope and grandeur of it. My innermost drama queen can spill out onto the page with abandon. Everything is always so dark and bleak in dystopia. I know not everyone is into that, but for me, it’s just that much more for the characters to overcome. It’s kind of the ultimate life analogy: bleak world, everything going wrong, humans who must fight for what they want—usually their freedom and their lives—in order to make a better world and find peace and happiness. Who doesn’t love stories like that? 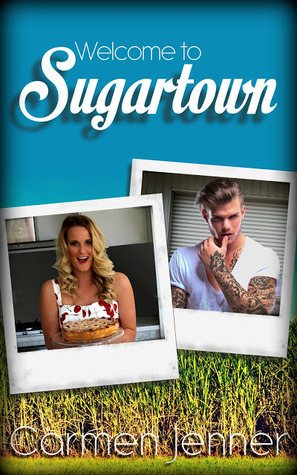 If you could swap places with any of the Interchron characters for a day, who would it be and why? Oh definitely Maggie because 1) Marcus is hot, 2) Karl would be a really fun guy to be friends with, and 3) she has awesome neurochemical powers. I’d like to use them just once, even if it was just to knock over a turtle or something. If you were at a dinner party with your characters, what topics would you want to discuss with them (and what are the odds that Colin would crash the party?)? I think I’d like to wax philosophical about the moral consequences of individuality vs. collectivism. I’d also like to know how all their powers work and bug them until they instruct me on how to tap into my own. And I’d ask Karl to do comedic impressions for me. As for Colin, let’s just call him a B-movie villain. He’ll probably keep popping up in unexpected places; the bug that just wouldn’t die. So the likelihood of him crashing the party would be high. In a way, though, that’d be okay with me. If I’m Maggie, I have the ability to defeat him, and I’d like to take him on. Just to say that I did. 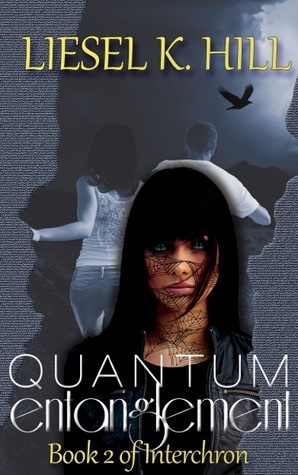 Can you describe in five words or less what you hope readers' reactions will be after they finish reading Quantum Entanglement? “OMG! Where is the next book!” — If they say that, or something like it, I’ve done my job. Thank you again for your time, Liesel! I really appreciate it! 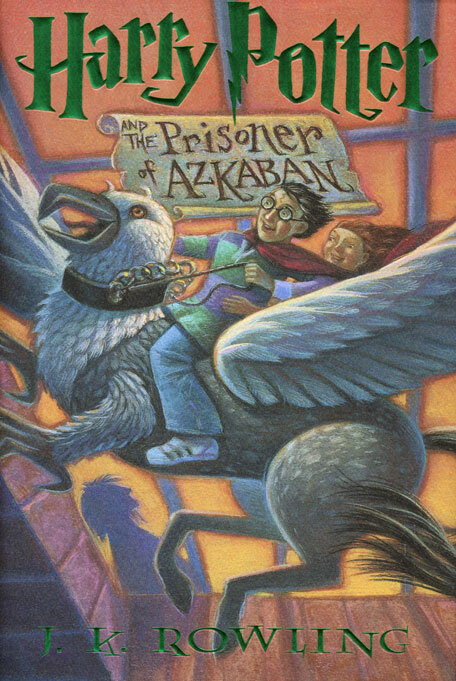 Although I adore the entire series, my favorite Harry Potter book has to be Prisoner of Azkaban. This favoritism is based really on one reason—Sirius Black. I love Sirius so much. He's my favorite character. Besides Order of the Phoenix, Sirius isn't in the series too much, and that makes me really sad. 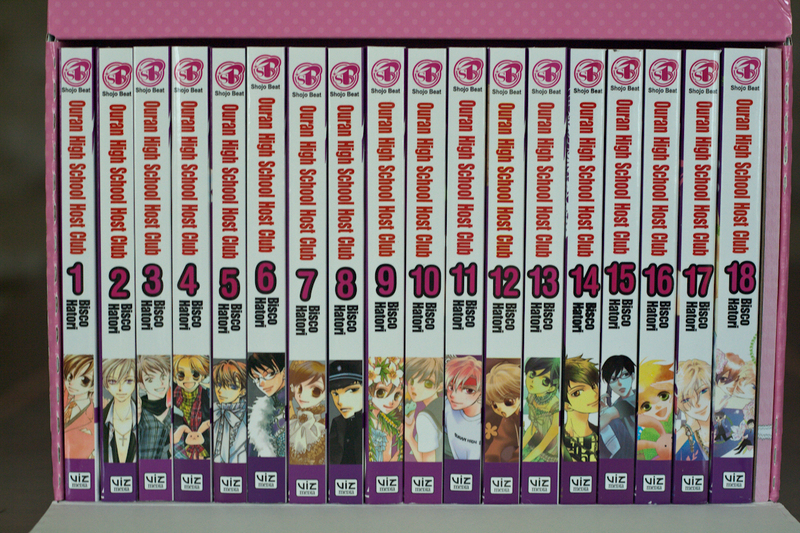 I like the plotline behind the third book, too. It was shocking to uncover all the secrets, and the third book was the start of a darker tone for the rest of the series. Yeah, but the main reason for me loving PoA is Sirius, hehe. To Sum It Up: As a member of Robin Hood’s gang of outlaws, Will Scarlet understands the importance of stealth better than anyone. After all, only the gang knows that Scarlet is really a girl posing as a boy. That’s not all Scarlet is hiding, even from her friends, though, and her past is about to catch up with her with the arrival of Guy of Gisbourne, the man whom the Sheriff of Nottingham has hired to rid himself of Robin Hood and his followers for good. For Scarlet, Gisbourne’s appearance in Nottingham means choosing between confronting the life she’s been running from and saving her friends. Review: The legend of Robin Hood has been one of my all-time favorite tales since childhood. I love anything related to the Middle Ages, and the historical period paired with Robin and his colleagues’ dedication to aiding the poor has just always appealed to me. I also love watching film/TV adaptations of the story. The animated Disney version with Robin and Maid Marian as foxes and Little John as a bear is one of my favorite Disney movies. I was also addicted to the BBC’s spin on the tale a few years ago and faithfully tuned in to BBC America every Saturday night. (My love for that show may have had a teensy bit to do with Richard Armitage’s portrayal of Sir Guy of Gisborne and the fact that he was clad in black leather. Maybe. Just a tad. What was I saying?) Needless to say, I was psyched to read Scarlet and was ecstatic over the idea of a female protagonist who’s a member of Robin Hood’s crew. 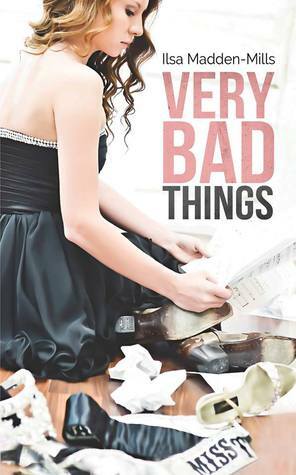 One of the very first things you notice about the book is Scarlet’s narrative voice. Wherever the word “was” should be, you’re going to find “were” in place of it, as in, “I were bored. I went for a lookabout.” While Scarlet has a unique way of speaking, I didn’t find it distracting at all; I thought it quite suited her scrappy character and didn’t sound out of place in the story’s setting. The novel really shines at conjuring images of medieval England and making you feel like you’re there. The attention to period detail is impressive. You’ll find the essentials of the Robin Hood legend here: he and his band of mates steal from the rich to give to the poor, who’ve been taxed into destitution by the nasty Sheriff of Nottingham. Besides Scarlet, Robin’s gang includes Little John and Much, with the occasional appearance by Friar Tuck as an innkeeper (alas, no Allan-a-Dale). 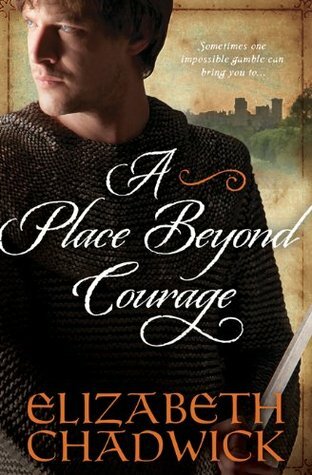 I really liked the book’s depiction of Robin as a bit of a haunted soul, dealing with the weight of what he did and saw during his service in the Crusades. His character went deeper than the typical representation of him as a dashing hero of the common folk, and it was a refreshing take. Of course, the Robin in Scarlet is deeply concerned about the welfare of the people of Nottingham, and he works tirelessly to help them. Where I hit a bit of bump in the book was with Scarlet herself. She’s an admirably tough, courageous character, but she also has a tendency to run off whenever anyone tries to get too close to her. 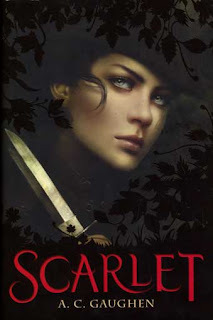 Granted, the secret Scarlet guards is a big part of the plot, but I still couldn’t help becoming frustrated every time she pushed someone away or threatened to leave when she felt like she was being asked too many personal questions. I’m all for independent heroines, but Scarlet was also fortunate to have a group of fiercely loyal friends surrounding her, and I thought she didn’t always appreciate that fact. I also wish that there had been a little more substance to Guy’s character. He came across as über-villainous, and personally, I prefer baddies with a morally ambiguous side to them. Overall, though, this was a solid Robin Hood story that had me longing to travel back to the Middle Ages to join up with a band of beneficent outlaws. But only if I were somehow immune to the plague and other such lovely medieval maladies, obviously. All in All: If you love this legend as much as I do, then you’ll probably want to give Scarlet a try. 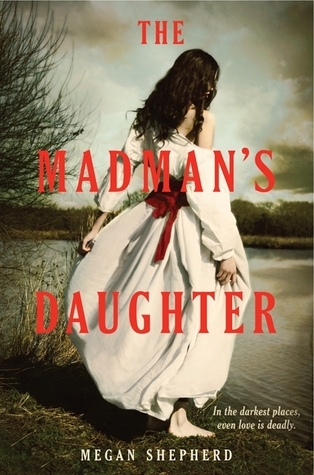 I thought the historical details were spot-on, and I liked how A. C. Gaughen adapted the tale to give it a different twist with a female character in the central role. 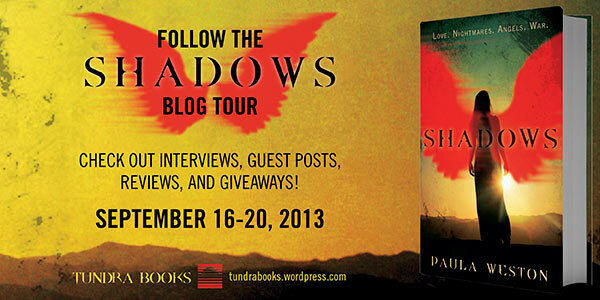 I am extremely excited to be a part of the blog tour for Paula Weston's Shadows, the first book in the Rephaim series! I'd been eagerly awaiting its release in the U.S. and was beyond thrilled for the opportunity to review it for the tour, which you can follow by checking out the schedule. * A copy was provided by the publisher for review for the blog tour. Synopsis: It’s been almost a year since Gaby Winters watched her twin brother die. In the sunshine of a new town her body has healed, but her grief is raw and constant. It doesn’t help that every night in her dreams she fights and kills hell-beasts. And then Rafa comes to town and tells her things about her brother and her life that cannot be true, things that are dangerous. Who is Rafa? Who are the Rephaim? And who is Gaby? The truth lies in the shadows of her nightmares. 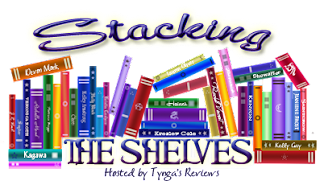 Review: I don’t want to jinx myself, but I daresay that I’m officially on a lucky streak with angel books. A little voice inside my head says it’s about time, given the number of so-so reads that I tried before finally finding some that clicked with me. I’ve always thought of angels as fascinating beings, but quite a few of the books I read just didn’t make them seem all that interesting. 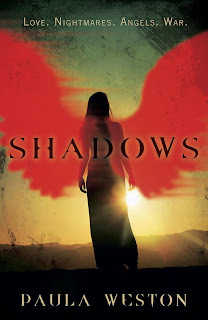 This is not the case with Shadows, which not only delivers a captivating take on angel lore but also vividly brings that lore to life all while cleverly unraveling the story of a young woman who doesn’t even realize she’s forgotten who she really is until a stranger with a somehow familiar face appears. Intriguing premise? Oh, yes. I’ve never been big on books that deal with memory loss because usually one of two things happens: either you figure out the entire plot before the affected character does and then have to wait impatiently for the character to catch up, or all of the information is saved until the last possible moment, when it’s dumped on your head all at once. With Shadows, I truly felt like I was learning things at the same time as the character who can’t recall her past, in this case the protagonist, Gaby. In the beginning, I was as unsettled as Gaby was when Rafa, a mysterious guy claiming to have been friends with Gaby’s deceased twin brother, Jude, turned up. Rafa is simultaneously someone whom Gaby has and has not met—if you count seeing Rafa’s face in your nightmares as you fight demonic creatures with him as having made his acquaintance before. The novel excels at rebuilding Gaby’s past piece by piece with spot-on pacing that gives you just the right amount of details at a time, neither overwhelming you nor leaving you without a fresh morsel of info for too long. And the surprising turns the story takes—I loved all of the plot twists and how they weren’t simply thrown in for shock value only to be abandoned later. The plotting here is very, very well thought-out. 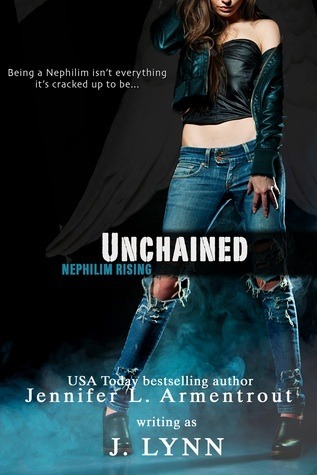 The angel mythology in Shadows is based on the story of the Nephilim, the half-human children of fallen angels, and these “kids” heavily embrace the warrior side of their angel blood in the novel. If you’ve ever seen depictions of angels in art where they’re wielding swords and managing to look both ethereally beautiful and ferocious at the same time, these are the beings you’ll encounter here. The action in the book was intense, and I absolutely loved it. Who says katanas and poleaxes don’t belong in an angel book? The tension between Gaby and Rafa was fantastic. They squabble and insult each other A LOT, which is highly entertaining, and their bickering isn’t helped by Rafa’s arrogance. There were many times when I wanted to assist Gaby in smacking the smugness out of him, but guess who had the last laugh by the end of the book? That’s right—Rafa—because he won me over by repeatedly demonstrating that a rather decent fellow lurked under all of that swagger. Kudos also go to Gaby for her determination to discover the truth about what happened to her and her brother and for remaining strong despite how frustrating and frightening it must be to try to recover so many years of lost memories. 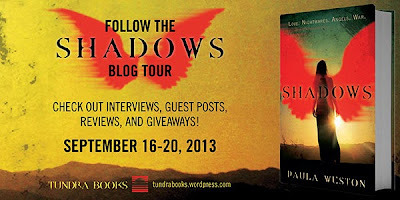 Shadows is a winning debut novel that illustrates how absorbing an angel book can be when it’s as creative and skillfully plotted as this one is. The suspense, supercharged action, and gasp-inducing revelations made this such a thrill to read. I desperately need the sequel, Haze, NOW. All in All: Another awesome angel read! And it’s only the first book! I cannot wait to find out what other surprises this series brings, and I’m sure there will be plenty of them. 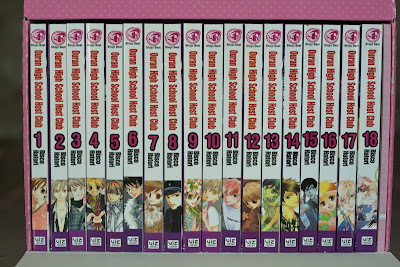 I've never read manga before, but I LOVE the Ouran High School Host Club anime, own the series on Blu-Ray, and have had my eye on the box set of all the manga volumes since it was released last year. Thanks to an Amazon gift card and some reward points available to redeem, I finally got it. I love how all of the individual volumes are packaged in one cool case, and there's even a convenient carrying handle on top of the box. 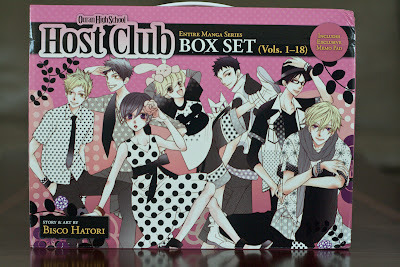 I can't wait to start reading these because I absolutely adore these characters!